this release offers up thirteen tracks of blistering punk rock. This sounds like a follow up to Love Songs For The Retarded eraQUEERS. 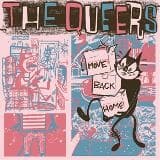 Since 1982, THE QUEERS have been paving the way for the RAMONES style pop punk bands across the globe. This new album will continue their legacy as one of the pioneers of this genre. 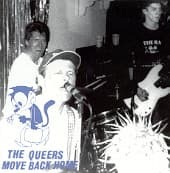 Vinyl reissue of the all time best selling QUEERS title, which has sold over 100,000 copies to date on CD! Originally released on Lookout in 1993. Now remixed, remastered, and wrapped in new liner notes and artwork!